Boy was I wrong. 6-3-1 manifold turned up the other day (decided to buy rather than make to save time in the run-up to Europpomeet 2.0 in March). Was informed it would fit by shifting it 1" back. Sorely mistaken. Turns out you could possibly fit it by scalloping the crossmember if you shifted in 1.5" further back, but that puts the steering rack sitting directly on the scallops I’ve knocked into the bottom of the sump to clear the 2.5l crank. 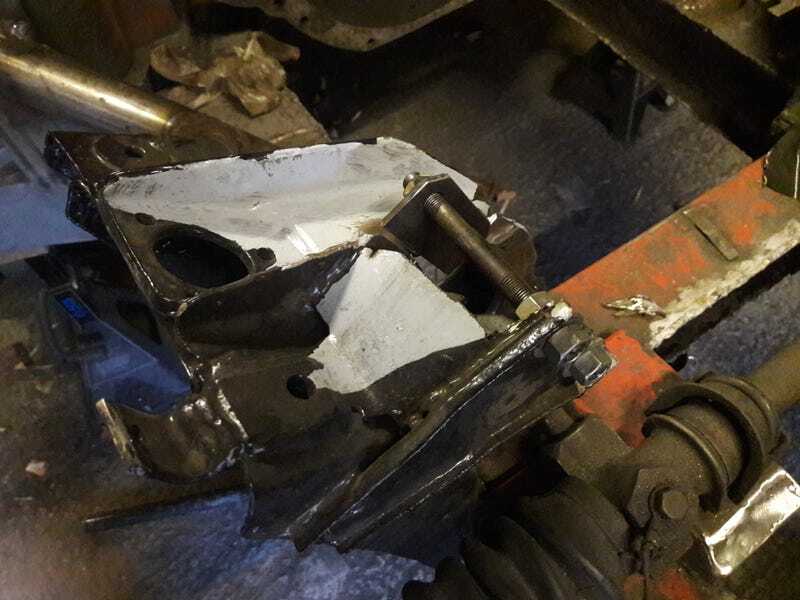 So, whole shebang needs to go back 3", which means new engine mounts, new gearbox mount, clearancing the bulkhead and clearancing the chassis. If I can get all of that sorted in a week then I’m still on track for my schedule to get it done for March. Better get cracking!